I have a bit of a thing about mermaids. The house is strewn with pictures and even a bit of stained glass. So recently I wrote about a mermaid in my story The Real McCoy which has been read at three live literature events by three different actors in under a month. 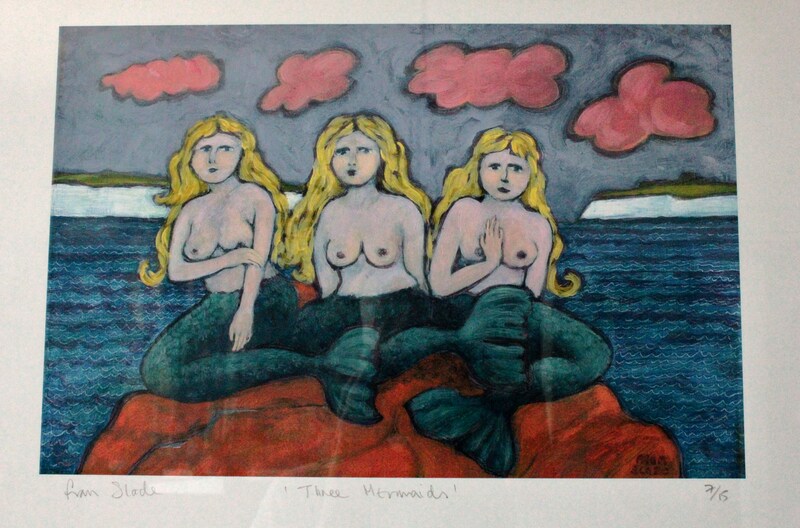 To celebrate here is the first mermaid picture I bought, which is a print by Fran Slade. Look – there’s three of them! and here are links to the readings. Fascinating the different takes each of them give it!